Anyone who’s gone through a major home renovation knows how stressful it can be. You have to spend a lot of time determining what needs to be done and what company is best for the job. But even once the project is all said and done, you’ll be left with a major cleanup job on your hands. Sometimes, you may not even know what to do with all the debris and junk that’s left in your home. The great news is that Buzz Brite Commercial Cleaning Solutions is here to help. Just let us know all the details of your new construction project and we’ll get there to clean up the mess after it’s done. 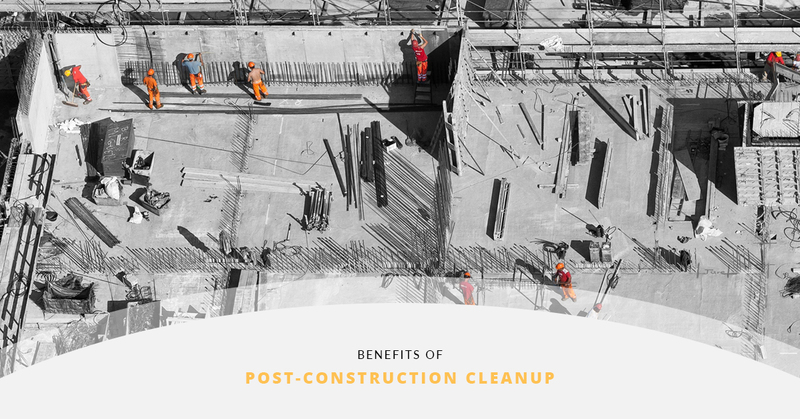 Read about the benefits of calling us for after construction clean up. Plain and simple, it is more cost-effective to choose us. Why? First of all, many cleaning and janitorial companies understand the need for this service and will charge a pretty penny for it. We keep our prices fair so that you always have someone to rely on. We also work quickly, ensuring that you never miss a beat and your company can get back to what it was doing. Efficiency is key when it comes to construction clean up. We understand that the sooner post-construction junk is removed from your office or home, the sooner you can get back to what you were doing. Dealing with a post-construction cleaning project on your own can be seriously risky. Oftentimes, you’ll have to watch out for sharp objects or breathe in sawdust or other airborne allergens. Our expert cleaners know how to get in and get out without taking any unnecessary safety risks. We work with an attention to detail so that you’ll be left with a clean and healthy home or office once we’re gone. It’s always more convenient having a company on standby that you know you can rely on. If you ever need last-minute construction cleanup, we’ll always be there to help. Additionally, if you have a tricky cleanup situation like drywall removal or something more complicated, we’ll always be there to get the job done. Another reason to give us a call is if you don’t have the resources or the equipment to get the job done alone. Oftentimes, construction projects leave behind materials that need heavy-duty equipment to clean up. We have everything you need to take care of these situations. Buzz Brite is your premier choice for post construction cleaning in Vernon. Not only do we provide quick and reliable post-construction cleanup services, but we also specialize in carpet cleaning, tile and grout cleaning, and floor waxing services. Our professional cleaners are trained to provide attention to detail in every job while still being efficient and getting out of your way so you can get back to what you were doing. Have any questions about our services? Give us a call today to learn more.